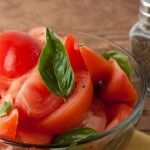 Refreshing tomato salad with leaves of fresh basil, drenched in a white wine vinaigrette. 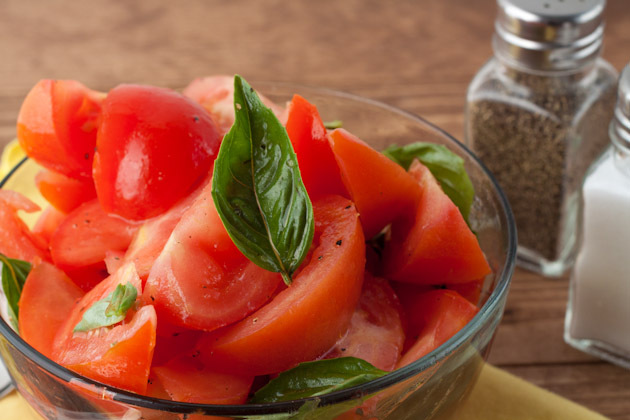 Combine tomato wedges and basil leaves in a large bowl. Set aside. Combine oil, vinegar, sugar, salt and pepper in a small bowl. Pour over top tomato mixture and stir to coat. Add hemp seeds, goat cheese, or chickpeas for extra protein!